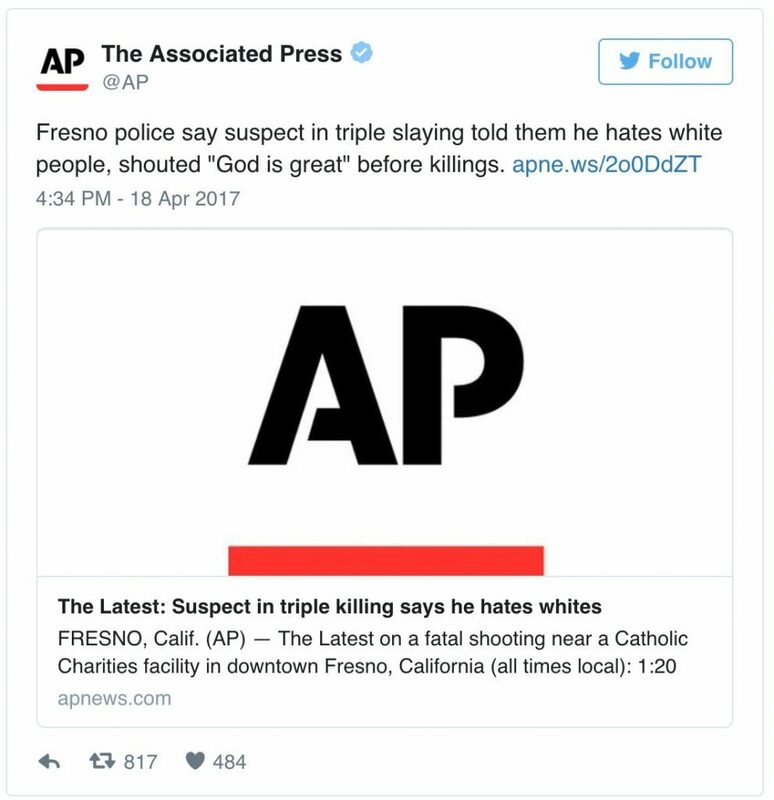 The Associated Press came under fire Tuesday for a tweet that inaccurately implied a shooter in Fresno, California shouted "God is great" in English. 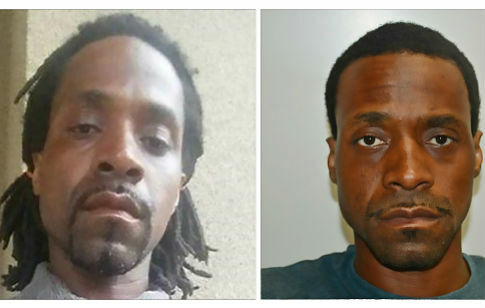 Police arrested Kori Ali Muhammad, 39, on Tuesday for killing three people in less than two minutes in a shooting rampage that apparently targeted strangers. Authorities are calling the killings a hate crime, saying that Muhammad, who is black, set out to kill as many white people as possible. All three victims were white. Muhammad also yelled "Allahu Akbar," commonly translated to "God is greatest," according to police. "Fresno police say suspect in triple slaying told them he hates white people, shouted ‘God is great' before killings," the AP tweeted Tuesday afternoon. Missing from the AP tweet is that Muhammad shouted the phrase in Arabic, not English. "Allahu Akbar" is a common Arabic exclamation, but is also often yelled by Islamist extremists during terrorist attacks. Angry Twitter users called out the wire service, accusing it of trying to hide the fact that Muhammad is Muslim. @AP Stop lying, @ap. That's not what he said. A day later, the AP deleted the tweet and clarified that a corrected tweet would be sent out. We deleted a tweet about a Fresno slaying suspect shouting "God is great." It failed to note he said it in Arabic. A new tweet is upcoming. Despite the suspect yelling "Allahu Akbar," Fresno Police Chief Jerry Dyer said the shootings had "nothing to do with terrorism." "We do not believe … that this is a terrorist-related crime," Dyer told reporters. "This is solely based on race." This entry was posted in Issues and tagged Associated Press. Bookmark the permalink.